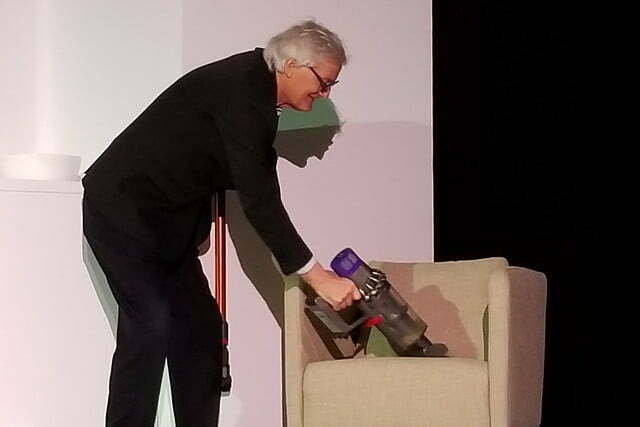 Innovation powerhouse Dyson unveiled its latest cordless vacuum cleaner on Tuesday — powered by a next-generation motor so innovative the company has official declared an end to development into devices that have cords. There’s simply no future in them, it says. 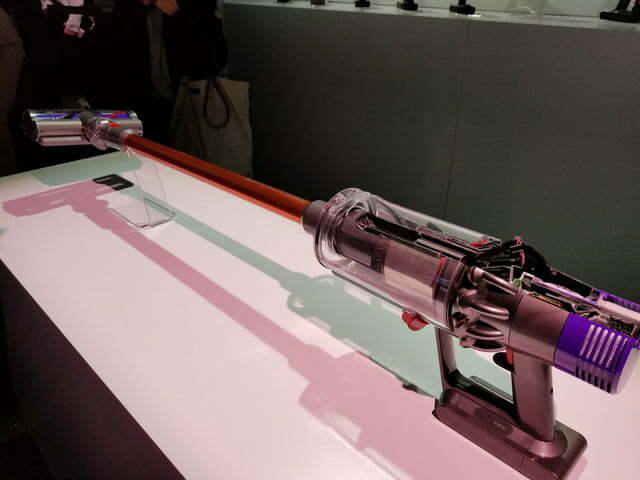 “This will define the future path of vacuum cleaners over the next decade,” gushed Paul Dawson, vice president of health and beauty products, at an event in an industrial space on Manhattan’s West Side on Tuesday. Translation: This new vacuum is really good. 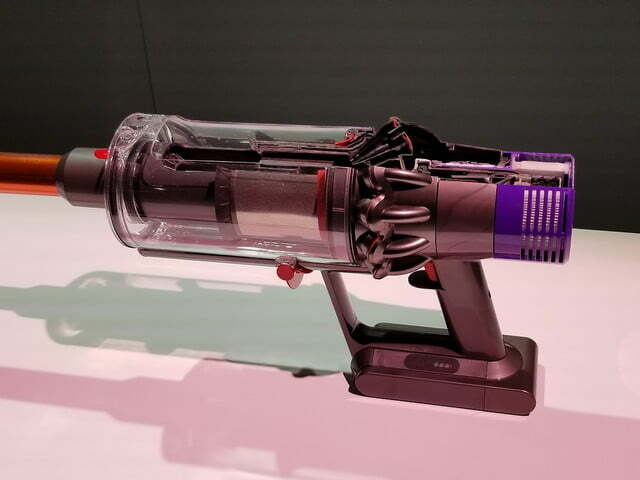 At first blush, the Dyson Cyclone V10 has several significant improvements over older models – and carries some changes consumers may take issue with. The heart of the product is a new version of the company’s signature brushless motor. 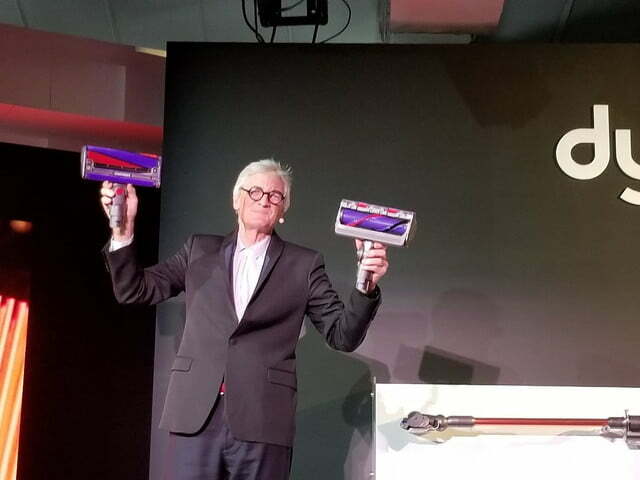 Conventional brushed motors emit black carbon dust, explained Sir James Dyson at the event. They’re fragile, they wear out, and they’re heavy. 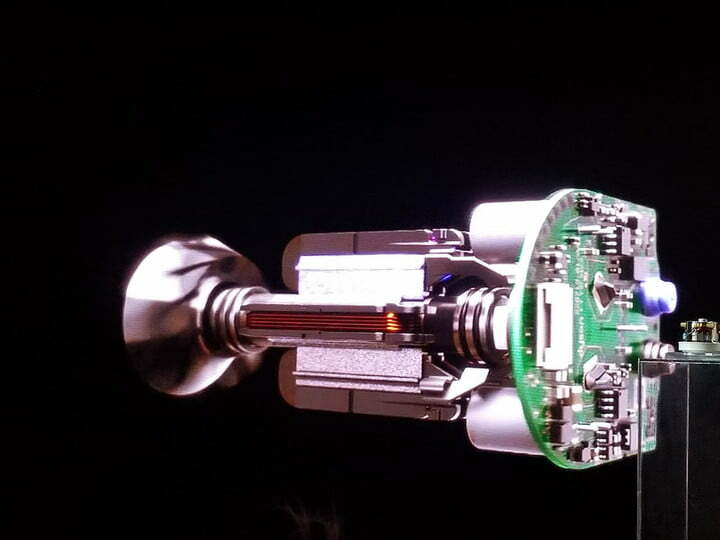 Dyson’s brushless motors are excited by a chip instead, and weigh a fifth as much as conventional motors. The 2018 model is 125 grams, as compared with a motor for a cordless vacuum from 2009, which was 150 grams. The older one was also less powerful, good for 85 motor watts of air versus today’s 290 motor watts. Part of the weight loss in the new motor comes from the move to a ceramic shaft instead of steel, which is half the weight and twice the strength. 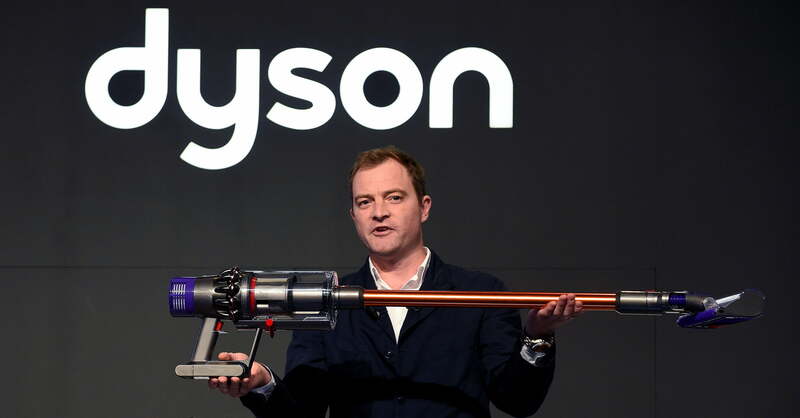 Dyson’s an engineer; he gets really excited about stuff like this. “In the middle there, you can see a very dull silver thing. It’s anything but,” he explained on stage. It’s a neodymium shell, cured in a very special process – he can’t even say how, that’s how proprietary and special the process is. It’s top secret, Dyson said. 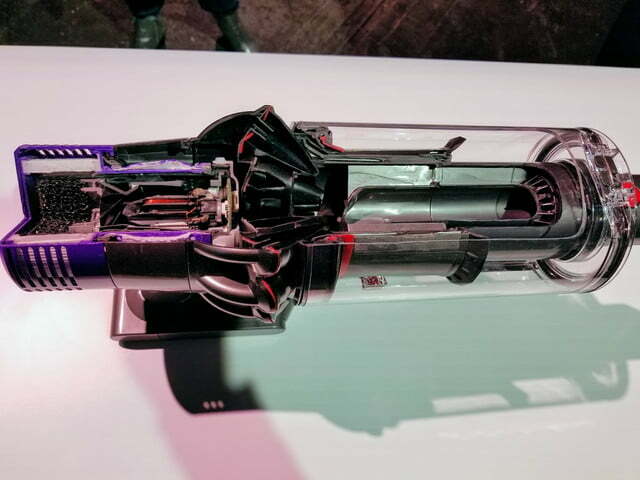 Dust and dirt gets sucked up via the motor into a clear chamber, where it’s whipped around by the force of the suction at up to 120 miles per hour, Dyson said. And the company rethought the mechanism that releases dust and dirt, making it simpler and keeping it further from your hands. That’s the good stuff. The issues lie with battery life, a problem for any powered product that relies upon batteries. Most batteries fade over time, leaving them less powerful as they age. 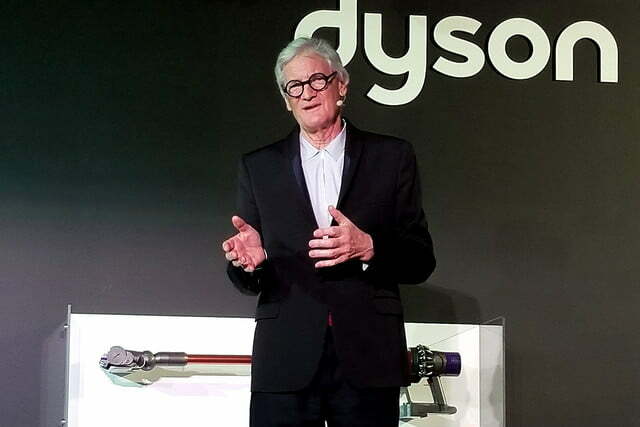 “The same problem has occurred with a certain iPhone, I believe,” Dyson joked. To address the issue for the V10, the company electronically ups the amperage to the battery so the wattage remains the same over use. You’ll have the same oomph over the lifetime of the product, he claims – but your battery won’t last as long. And when it dies, it falls off a cliff, rather than petering out. 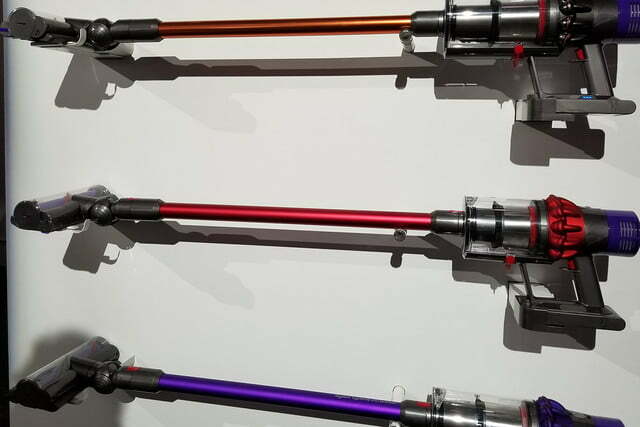 Dyson says not to worry, repeating the company’s mantra. “Run time isn’t what you should be worried about, it’s maximum suction,” he said. The company doesn’t officially cite runtime, but Dyson said you should get 60 minutes or so. That’s a far cry from earlier models, which topped out at half that. “Managing the battery is a very, very important part of what we do,” he noted. There are other innovations in the new model as well, notably a special head designed for hardwood floors. It has a velvety feel, and isinterspersed with carbon fiber bristles. You clean records with carbon fiber bristles, Dyson noted, because dust sticks to them thanks to static. In the past, the company has been dinged for not fully picking up dust particles, which adhered to floor boards with static. “The engineers and I started crawling across floors trying to figure out what was going on,” he explained. Carbon fiber bristles in the new brush head should address the issue, he thinks. We’ll see. Digital Trends will have a full review of the vacuum cleaner shortly. The Cyclone V10 goes on sale at Dyson’s website starting at $499. It will be available in retail starting in April.